We buy pinball machines! Sell coin-op arcade games for cash to our buyers & collectors! 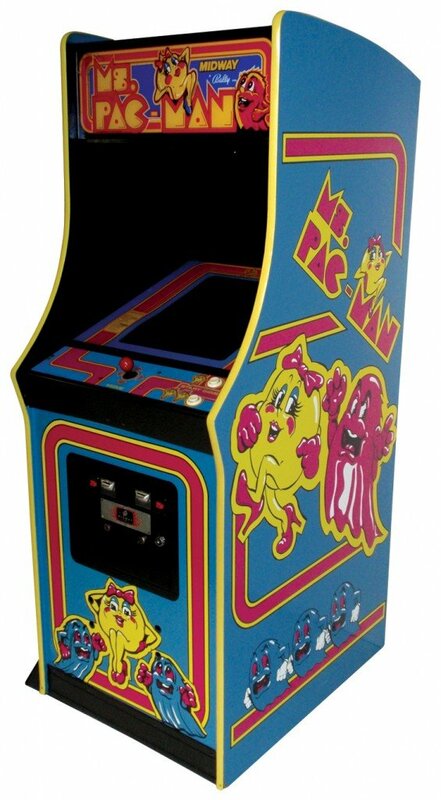 Ms. Pac-man video arcade game. We are a large group of pinball, video arcade and coin-operated game hobbyists located all around the United States. 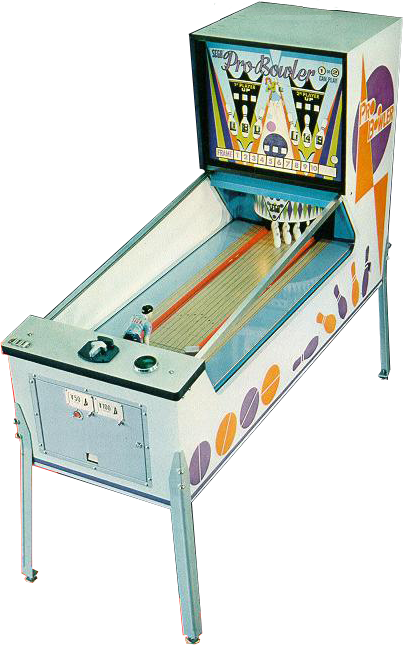 We collect, restore and preserve coin-operated games for ourselves and for future generations. Seeing that this isn’t a job, we are able to pay top dollar for your games in any condition. Whether your game is working or not, it still has value! Submit your game to the right to receive multiple offers from collectors in your area. 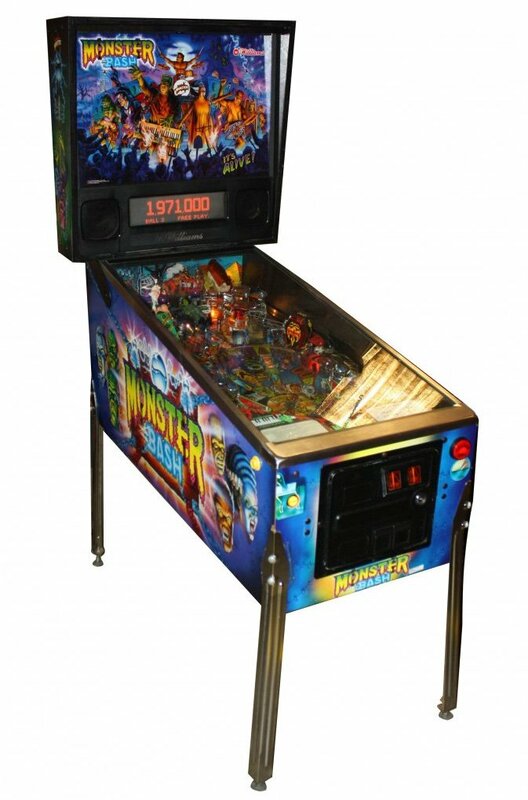 Related article: How much is my pinball machine worth? There is NO need to ship your game! We have local buyers in your state who are willing to pay cash for your game! Related article: Overpayment Certified Bank Check Scam. How many buyers are signed up in your area? Check the map below. Plus, each day new collectors reach out to us for our free leads on arcade games! Simply use the form to the right to submit your game to hundreds of collectors in your area wanting to buy arcade games. It’s fast, 100% free and Confidential! We do not spam! We buy pinball machines! Sell your coin-op arcade games for cash to our buyers/collectors! We pay top dollar for your games, locally. 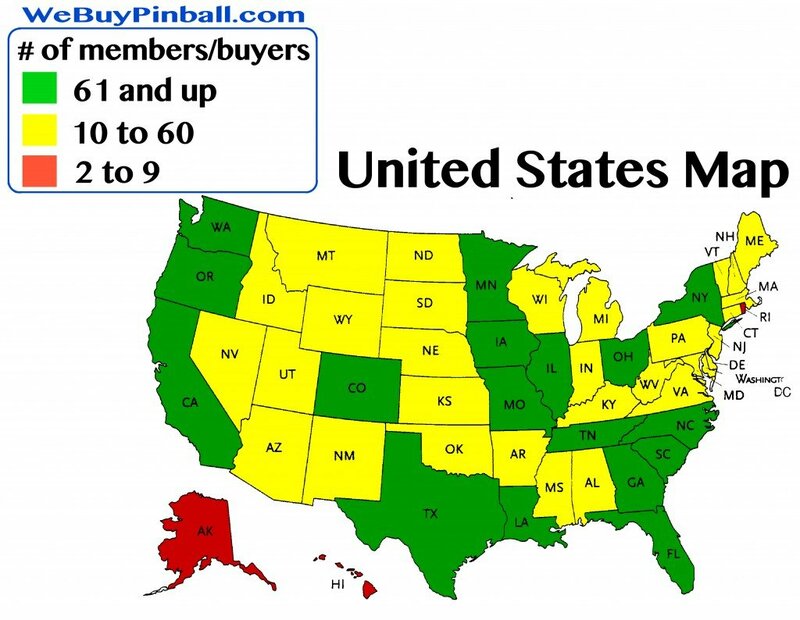 Map of our members of WeBuyPinbal.com by state. We are home game room collectors, so we pay top dollar. 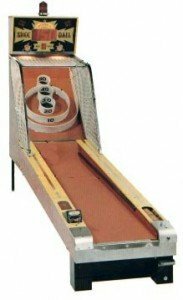 WeBuyPinball.com now offers failing coin-op operators a way out of the business! We offer a TOTAL pinball and coin-operated arcade game liquidation service, where our collectors come in, pay cash and remove all of your games! You walk away with cash, we take the risk! Pictures listed on the linked page are of two places that we have alleviated from financial disaster! Sell Arcade game In Iowa. Sell Arcade games in North Carolina. Sell Pinball machine in North Carolina.